Earlier this month the Intergovernmental Panel on Climate Change released a sobering special report arguing that globally we a decade to complete greenhouse mitigation measures, to limit the global temperature rise to 1.5oC above pre-industrial levels, or risk climate impacts that are civilisation-threatening in scale and scope. The 1.5oC limit represents a reference point for everything we do in responding to the global climate crisis. The window of opportunity for gradual incremental change to ameliorate climate change closed a long time ago and the clock is ticking. A monumental and rapid emissions reduction effort is required to keep the Earth within the 1.5oC temperature envelope. This objective is clear. What is complex is the all-encompassing political, economic and social task of staying within the 1.5oC threshold. The compressed time frame we have to act on the 1.5oC threshold demands that we integrate transformational change encompassing environmental literacy, our worldview, our economies, politics and governance, how we collaborate and organise ourselves as social units, and the way we harness new technologies. Our best hope of meeting this challenge lies in developing integrated, holistic responses across these elements of transformational change into a conscious hard sustainability transition. Though not exhaustive, the following article signposts the scale and breadth of the kind of society-wide transformative changes that the 1.5oC temperature limit is demanding of us, identifying some of the friction points where necessary change will be difficult. What is the transition to strong sustainability? The classic definition of sustainability was articulated in 1987 by the World Commission on Environment and Development, in a report entitled Our Common Future: “development that meets the needs of the present without compromising the ability of future generations to meet their own needs.” Our Common Future argued that economic growth was the key to reducing ecological degradation and that economic development could provide the jobs, money and infrastructure necessary to reduce environmental harms and satisfy the development needs of poorer countries. Unfortunately, this weak version of sustainability has failed spectacularly to slow down environmental degradation and greenhouse gas pollution. In contrast, an understanding of strong sustainability is the fundamental guiding principle that must inform everything we do. From a strong sustainability perspective, a society has to exist in a way that its environment is able to support indefinitely through its ecosystem services and resource base. Human activities should be limited is scale to a level that is within the carrying capacity of the environment. Because we have overshot environmental limits, particularly in relation to greenhouse gas pollution, we have degraded the capacity of our environment to support our societies. Strong sustainability is implicit in the 1.5oC temperature stabilisation threshold. The IPCC report powerfully implies that if human activities do not satisfy the strong sustainability benchmark, we need to stop doing them and find another way. This is a responsibility for every country, every community, every company and every person on Earth. That responsibility is doubly significant for those of us in developed countries, who are disproportionately responsible for greenhouse gas pollution and who have greater resources to face this challenge. What kind of worldview is consistent with the realities of strong sustainability? Our starting point for coming in below the 1.5oC threshold is understanding that humans are but one member of an assemblage of species interacting inter-dependently within ecosystems. Like every other species, we rely wholly on ecosystems to provide for our subsistence and survival needs. When scientists warn of ecosystem collapse, they are not talking about a phenomenon outside of the human experience, they are warning of direct dangers to us because we are part of those ecosystems. Ecosystem survival is defined by limits. The Earth is essentially a finite system at human time scales, bound by limits to the amount of resources that can be extracted from ecosystems, as well as limits on the amount of pollution that can be dumped back into ecosystems before they collapse. Strong sustainability is about sustaining the ecosystems that support us. Part of our problem is that we have valued the sustainability of power structures and economies, among many other things, ahead of the sustainability of ecosystems. Either consciously or unconsciously, we have been anthropo-centric, placing our own welfare as a species ahead of all other life. To get real about strong sustainability, we need to become eco-centric, to locate ourselves as one constituent species within a complex web of life. It is this web of life, embodied in ecosystems, which we need to sustain as our first priority in stabilising global temperatures at 1.5oC. What kind of economy is capable of operationalising strong sustainability? An economic system based on strong sustainability needs to be ecologically sustainable across all processes of production, consumption and exchange. It needs to be ecologically sustainable in the structure of its monetary and financial systems, in how labour and resources are managed, and in how its surpluses are distributed. The economy is one of the primary ways that human societies interface with the environment. Business-as-usual economic activity is certain to push us well beyond the 1.5o emissions stabilisation threshold. As custodians and caretakers of the environment, it is clear that the way we interface with it through the economy has to change. The idea that economies can continue to grow in perpetuity on a finite planet is patently absurd. Economic activity—which inevitably consumes resources and produces waste products—cannot continue growing indefinitely without causing ecosystem damage. From a perpetual growth mindset, all elements of the biosphere—human and non-human alike—have been treated as discrete units of production and consumption that can be extracted, traded and disposed of without any consideration for their interdependence with each other and connection to the health and stability of the Earth systems in which they are a part. From this perspective, the Earth is not a “thing” to be exploited, but a living entity, of which we are a component part. To come in under the 1.5oC threshold, economies cannot continue to externalise the costs of waste products. A carbon price mechanism is a necessity for prompting polluting industries to internalise the cost of greenhouse gas pollution into their cost of business calculations. Where implemented effectively, a carbon price will compel competent corporate leaders to reduce their business costs by increasing operational efficiency and reducing the carbon footprint of their operations. The financial sector is driven by a monetary system that requires perpetual growth to underpin the creation of money through fractional reserve banking and to service debts. The ingenious logic of money as a medium of exchange is being undercut by the logic of a monetary system that can no longer be supported by the degraded ecosystems from which all real wealth derives. Strong sustainability transition demands that we develop a new monetary system that does not have an inbuilt growth imperative. What kind of politics and political institutions are required to implement strong sustainability? Strong sustainability transcends the left-right ideological spectrum and should be the primary political metric that matters in the context of the 1.5oC threshold. Politicians of any party or persuasion, who cannot commit to the urgent climate change action demanded by the evidence, are a dangerous liability during the sustainability transition and not fit for public office. The 1.5oC threshold demands of us a political system that can legislate on climate change rationally and with appropriate haste. But as the “climate wars” have amply demonstrated, governing sustainability transition through institutional politics means challenging entrenched power structures and vested interests. 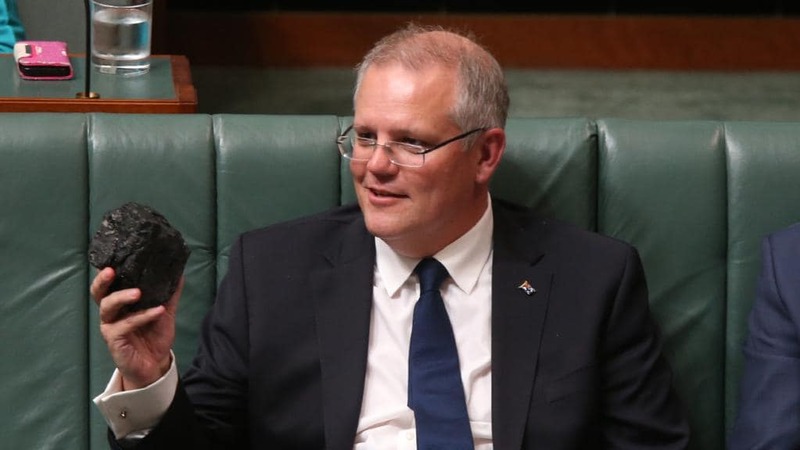 Climate policy in Australia (and elsewhere) has been poisoned by a shadow constituency of rent seekers and lobbyists who have exercised direct influence over the policy-making process through campaign contributions, media influence and the revolving door of employment between government bureaucracy and the corporate sector. During the strong sustainability transition we can ill-afford the corrupt influence of this recalcitrant constituency over the political system. The 1.5oC threshold clearly demands that we resist their influence over the policy process because they are an obstacle to strong sustainability action. The politics of the Paris Agreement and the UN Framework Convention on Climate Change adds an additional layer of complexity. The negotiations here can be conceived of as a two-level game, where national policy makers are required to make decisions that will satisfy both international objectives and domestic constituencies. To execute a successful negotiation in the UNFCC, governments can only promise or concede as much as their domestic constituents will allow. It is the responsibility of democratic citizens to demonstrate that political constituency for strong sustainability transition. This is why the global climate change movement is so important. It is a trans-national movement encompassing actors from across the ideological spectrum, including grassroots groups and professional organisations spanning the global north–global south divide. This movement is multi-ethnic, inter-generational, and tied in with other social justice issues. Engaged social movements create pressure on governments to adopt strong emissions reduction targets while simultaneously acting to reduce relative power of recalcitrant sectional interests over the policy-making process. The Paris Agreement will be the frame for environmental governance for decades to come. However, there is a large gap between the emissions reduction pledges made so far by governments, and the level of reductions necessary to meet the 1.5oC temperature stabilisation target. Governments are simply not up to the task of doing this on their own. This entails a key role for social movements and grassroots organisations who can leverage their capacity to pressure governments politically and innovate with entrepreneurial local-level mitigation and adaptation innovations. An emerging leverage point in sustainability transition politics is the converging edge between governments and grassroots actors. Governments and international institutions need grassroots actors to provide local knowledge and help with policy implementation. Grassroots actors need the big institutional players to provide resources to help them scale up their innovations. Role model for how not to approach policy-making during the climate crisis. What cultural practices and models of social organisation are appropriate for strong sustainability? Broadly speaking, culture relates to the sets of behaviours, rituals, knowledge and symbols that a group of people develop through their connection to place and circumstances, which they transmit to new generations as the basis for right living. Culture is never static, always evolving over time with changing circumstances. The transformational change heralded by the strong sustainability transition demands that we rethink cultural practices that are incompatible with strong sustainability. A society that is resilient to ecological shocks must necessarily be a just society where people have strong social networks and direct agency in their adaptation choices. Inequality, social exclusion and bigotry are mal-adaptive, and make us and our communities less resilient to transformational change, to everyone’s detriment. It follows logically that social justice, climate action and environmental sustainability are inseparable. Developing a functional literacy of power is an important attribute of sustainability transition practice. From an ecosystem perspective, in any interaction between people there are implicit and explicit power relations at play shaped by cleavages such as ethnicity, gender, class, sexual orientation, age, disability, education level, where you live and so on. Although they are deeply rooted in history, there is nothing “natural” about these hierarchies and they need to be addressed in order to enhance social capital and climate resilience. What kinds of technologies will help us reach strong sustainability? As the transformation of the global energy system away from fossil fuels toward renewable energy illustrates, technology is playing a key role in the transition to strong sustainability. Green technologies—ranging from renewables, waste-to-energy transfer, electrified transportation, and even geoengineering, to name a few—can help to facilitate emissions reduction and create investment and employment opportunities in the green economy. More controversially, debates over “negative emissions technologies”—which can remove excess carbon dioxide out of the atmosphere—raise questions about the role of technology in the strong sustainability transition. We need to take a precautionary approach to any technological interventions that are presented as a climate panacea, asking probing questions about their functionality, their known and potential side-effects, and most importantly, how the rollout of these technologies would be governed. The consequences of any failure, miscalculation or accident are likely to be significant. As we’ve seen with other recent industrial calamities like the Fukushima nuclear disaster to the Deepwater Horizon oil spill, mega-technologies, when they fail, tend to do so catastrophically. While technological innovations will play a key role in the strong sustainability transition, we cannot leave it to technology alone to do the heavy lifting of greenhouse gas mitigation. Green technologies will be best deployed when scaffolded within a holistic and integrated transition to strong sustainability. 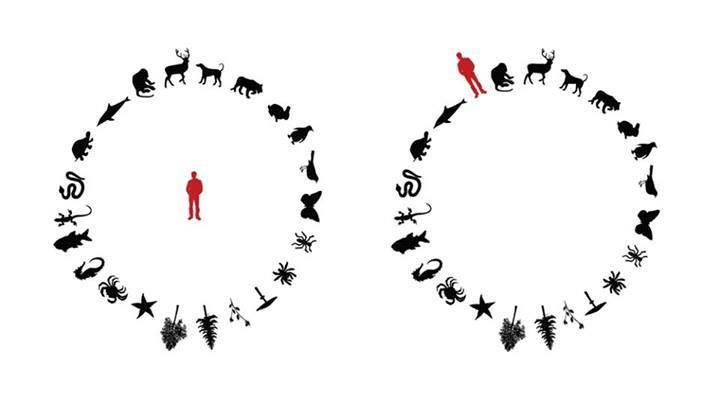 As we enter the Anthropocene, we are at a pivotal juncture in the human journey. What we do right now matters in helping to shape what the human future is going to be. The transition to strong sustainability will require both government intervention and market innovations, mobilised in a mutually-reinforcing, strategically integrated way. It will require whole-of-government coordination and evidence-based policy-making. It is difficult not to get pessimistic when you seriously examine the extent of the climate change threat. Emotions like anger, fear, sadness and disempowerment are both common and understandable reactions to this problem. However, there is an alternative view. We are alive at a pivotal moment in human history where all the settled assumptions of the last two centuries are up for renegotiation. New economic, political and social paradigms are evolving right now in response to the unfolding climate crisis, laying the foundation for a new set of just and regenerative social and ecological relations. That is indeed what the 1.5oC temperature threshold demands of us.